The season of crop tops is over. Not just because it's finally chillier, but because it's the month of Thanksgiving and Halloween, which means that excessive eating and food babies have begun to pop up. Now that Thanksgiving is over, I'm looking forward to convincing my mom to buy really good Halloween candy so I can eat it all and blame it on frequent trick or treaters. Yep, it's a great month for food. Cool outfit from top to bottom! Nice cropped top, cool shorts, stylish handbag, and cool jacket. The tights and lace-up booties are also great-looking on you. Nice hair as well. Love this combo, especially the socks! You look so stylish! Love the shorts. I love the knee highs and shorts! For some reason, it reminds me of Clueless. Love it! The whole outfit is so great! Haha! You are so right....I didn't even realize it's the season of food :O!! You have nothing to worry about darlin! Wear those crop tops as you please;)! Fabulous look! I love the way you styled your crop top, it looks great with shorts and tights! I absolutely LOVE your boots. So chic! Stunning! :) Love this outfit!! I'm new here, shall we follow each other? 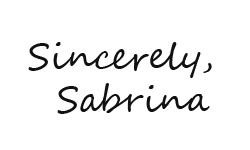 Hey Sabrina, thanks for visiting my blog and leaving your kind comment :) You like my makeup and I love your style :) this outfit looks great! Thanks so much for your sweet comment on my blog, I love your crop top in this post!! I love love love that jacket!! Those shorts look great on you!!! Love your bag and crop top.Denim giveaway on my blog. Love your crop top, this look is absolutely cool! Perfect, perfect! Love it from the head to the toes.. The crop is such a specially touch on here! amazing and superb dress. color combo is marvelous.black colored knee socks are looking very beautiful. love your whole dress very much.